30 Jan 2019 --- Green was a salient color among the candy presented at this year's sweet and snack trade fair, ISM 2019, held in Cologne, Germany. 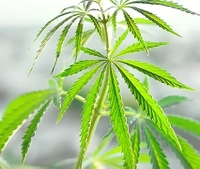 As the cannabis plant and its derivatives, namely hemp and cannabidiol (CBD), have enjoyed an increasingly normalized reputation and popularity among consumers, continuing investment in the well-known plant is highly anticipated for 2019. “Following publicity around CBD’s clinical effectiveness in treating certain illnesses, increased statutory legalization of cannabis across many US states and positive word-of-mouth about the ‘non-psychoactive cousin’ of marijuana, interest was piqued. As interest increased, interested consumers dug deeper through internet searches, shared information with and from friends on social media, and sought out sources of legal CBD. Due to the incredible therapeutic benefits of CBD, use exploded, and a major trend was born and continues to accelerate,” Lachance explains. Roelli Roelli’s Swiss Cannabis chewing gum and lozenges pack a punch of 5mg per piece. However, working around the regulatory gray area that surrounds the use of cannabis-derivatives in much of the EU presented some uncertainty. The company overcame this challenge and reached legality all over the EU, including the UK, making it the first company to do so – legally, he notes. “It was a tricky issue. We wanted a substantial amount of CBD, but if you want to sell it legally, you must eliminate all THC. However, even with CBD, there are close restrictions. We are lucky to have found a way to legalize the product, even with a substantial amount of CBD,” says Roelli. 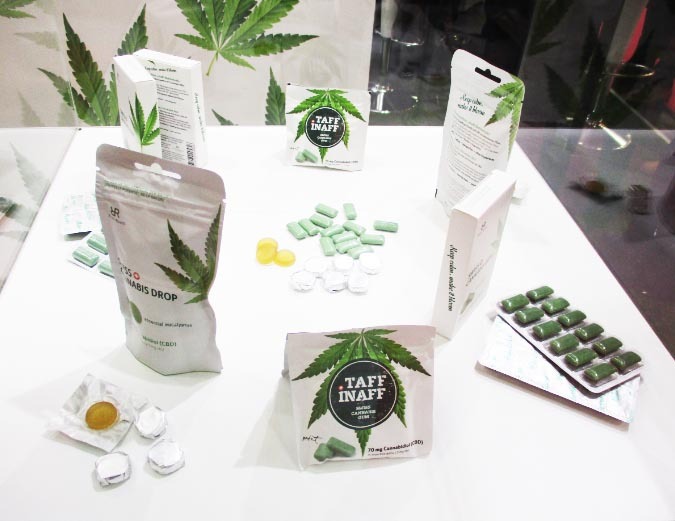 “Swiss Cannabis Gum was developed over a long period in contact with experts and the relevant authorities. At the end of this process, a study on the safety and suitability for commercial sale of the product was prepared by state-certified experts. This assessment applies to Switzerland and all countries in the EU,” the company explains in a statement. The range has been on the market in Switzerland for seven months, Germany for five months and it is soon to hit shelves in the UK. Although the company largely does private label for retailers, this range is a branded product. Click to EnlargeAndreas Roelli, Co-Founded Roelli Roelli Confectionery with his brother 22 years ago. Earlier this month, the UK Food Standards Agency (FSA) announced that it is seeking to ban the sale of CBD oil in the UK market which may hinder the growth of the burgeoning CBD scene. The agency notes that this increasingly popular wellness supplement should be deemed a novel food and must, therefore, go through the appropriate authorization channels, which could take between 12 to 18 months, before being offered to the public. A second launch at ISM, this time focused on hemp, came from Katjes Fassin, with the company Hemptastic Hemp Bar’s which will be available from May 2019. “We have created a delicious combination of tasty food and fancy flavors, packed with super ingredients and over 20 percent raw hemp seeds,” says a company statement. Cocoa & Almonds: Crispy cocoa-nibs and crunchy almonds. Cashew & Coconut: Packed with cashews, almonds and coconut. 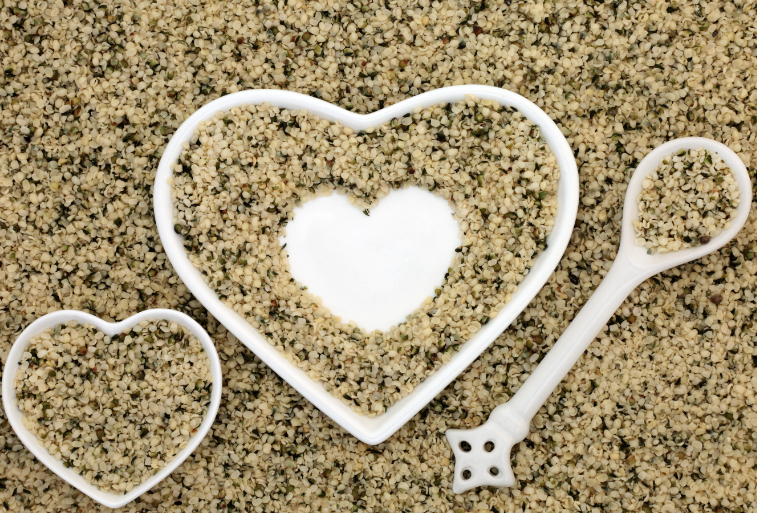 Innova Market Insights reports 34 percent average annual growth in the number of new food & beverage launches with hemp ingredients (Global, 2013-2017), with US introductions enjoying an average annual growth of 21 percent over this period, amid a friendlier regulatory environment. Click to EnlargeCereal and energy bars (24 percent average annual growth) was the top growing sub-category of new US food & beverage launches containing hemp (2013-2017). The US accounts for most of the NPD in this area, according to the market researcher. Its data reveal that of the global food & beverages and supplement product launches featuring CBD in 2018, the US accounts for 76 percent of launches. The US is also where 33 states have so-far legalized the use of cannabis for medical reasons in some form. Hulled hemp seeds, hemp seed protein and hemp seed oil were also certified with Generally Recognized as Safe (GRAS) status. These developments, alongside Canada’s recent legalization of recreational cannabis, has positioned North America as a region ripe for further NPD. 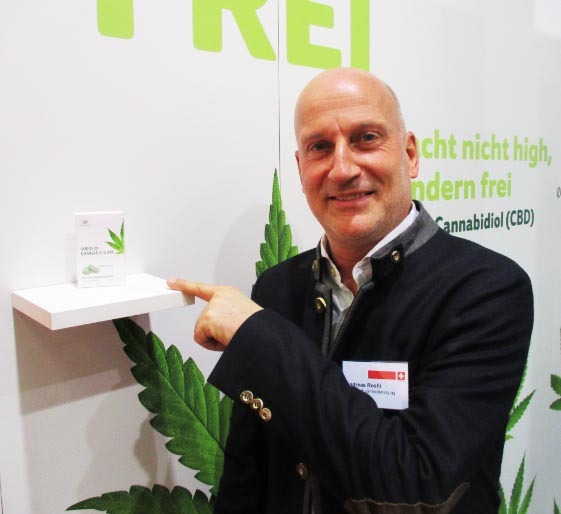 However, as the reputation of CBD and hemp continues to expand, this will be a trend with hard-hitting global reach – as the investment on show at ISM has also indicated.